we went to crate & barrel on memorial day weekend where they had a big sale going on, and i couldn't help but pick up a few small things for the kitchen. the first was the above set of porcelain rice bowls. they're so cute! 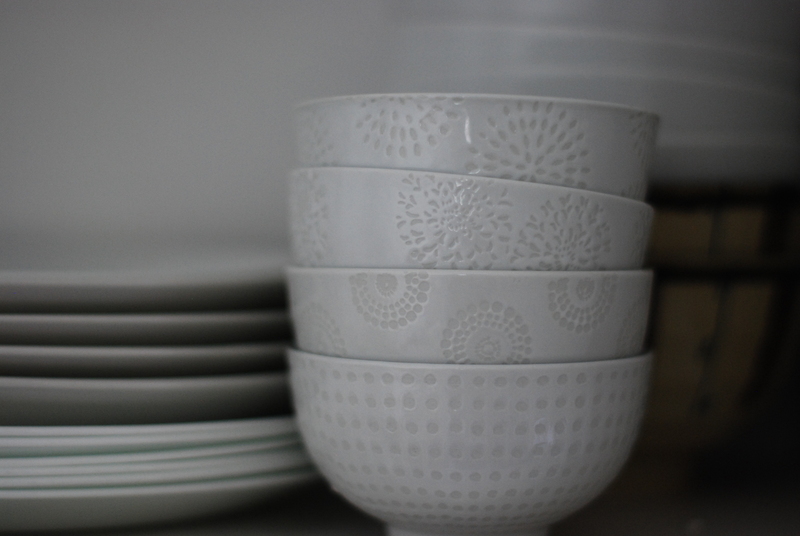 and i really love the subtle negative designs in the glaze. 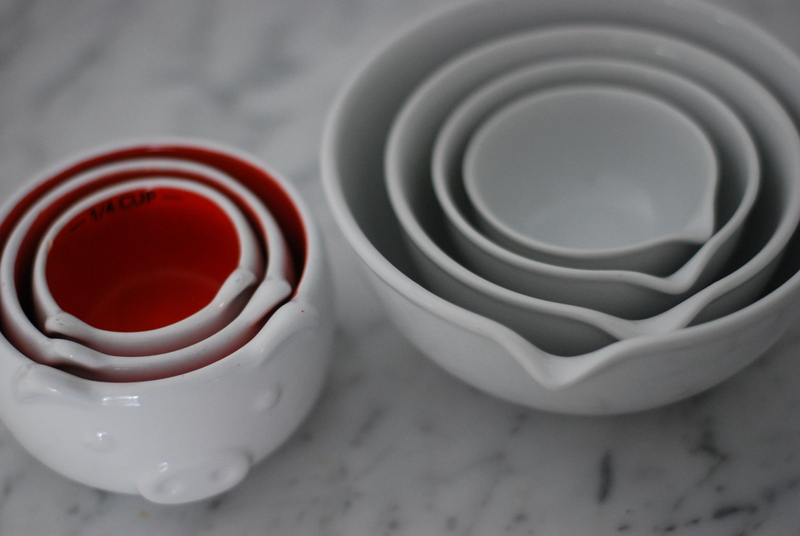 i bought another set of bowls, but this time, it was a set of nested prep bowls (above, right). they're super handy just to have around on the counter to throw chopped garlic or vegetables or whatever i have on hand. plus, it looks great next to my nested piggie measuring cups from target (though, i only have those around as decoration). 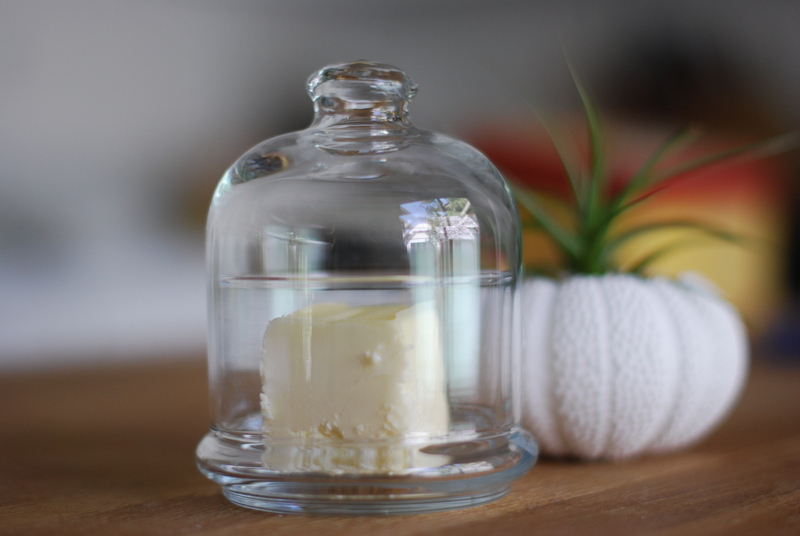 and lastly, i bought this glass covered butter dish. it love how delicate it looks, even it's not the most practical for a butter dish. oh, and that thing behind it? 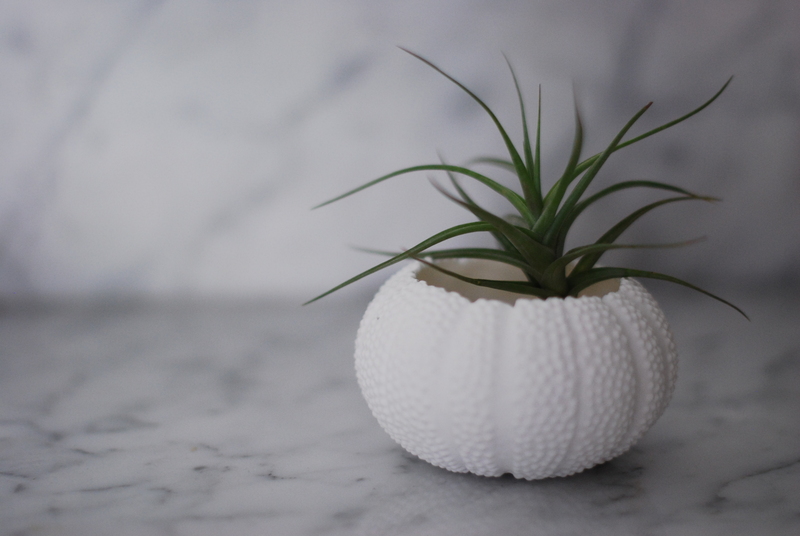 it's an airplant in a ceramic sea urchin - i've had the urchin for awhile now, but the air plant is new. i hope i don't kill it! i'm sort of terrible with plants.